Though gas boilers are the most affordable and efficient way to heat homes, most homeowners find it daunting and overwhelming when it comes to choosing a gas boiler that will seamlessly suit their needs. Fortunately, that’s where Mold plumbing comes in. We help our clients make informed decisions because we understand the importance of installing a gas boiler that will seamlessly and effortlessly satisfy the needs of your home and lifestyle. Each of these comes with different capabilities and features optimised for different environments and uses. However, your choice boils down to your needs, tastes, and preferences. So, before making that decision, take the following factors into consideration. If your household is small with minimal energy demands, a combi boiler will be an idyllic choice. This is so because it doesn’t need tanks for water storage and only occupies a small space of your house. If you have a larger house with high demands for hot water for instance where more 2 or more bathrooms are used at the same time, it is advisable to choose a gas boiler with a hot water storage tank to ensure that water is adequately and evenly distributed in the house. The state of the plumbing currently installed in your house can dictate the type of gas boiler that will best work for your home. Therefore, if you are getting a new gas boiler, make sure that the pipework will be uncompromisingly compatible so that its efficacy can’t be compromised. 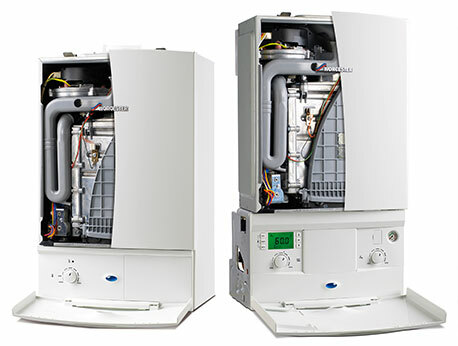 Are you replacing the boiler or installing a new one? If you have a big property that is currently using a traditional gas boiler and you would like to replace it, it will be more affordable if you install a regular boiler. However, you can still satisfy your tastes and preferences with any other model depending on what your needs are. If you have any questions or you would like to know how much your installation is going to cost you, call Mold plumber on 01352 860086 for a free, no obligation quotation on whatever services you need.